During a city-wide “Bike to Work Day” GTech was approached by Fort Worth Bike Sharing for help with the B-cycle advertising panels. 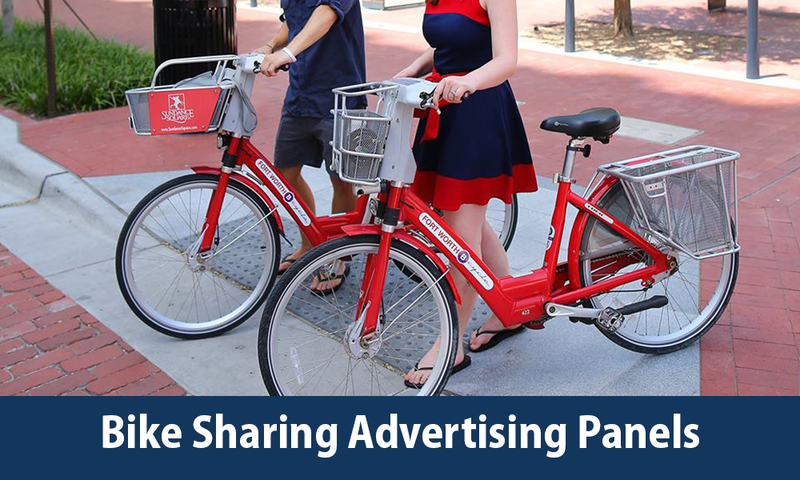 Companies and individuals can purchase advertising space on the B-cycle bikes. The ads are attached to the bikes by advertising panels mounted to the bike baskets. Fort Worth Bike Sharing needed a stronger advertising panel to resist damage, but the panel should also be lower cost since the panels are replaced every two years for new advertising. Advertising panels mounted to the B-cycle bike baskets were being damaged during normal daily use of the bikes. This makes the advertising look bad and can actually lead to the panels becoming loose and falling off. We evaluated the existing advertising panel design and material, and how the panels are used on the bike. From that evaluation, several candidate materials were proposed, and testing was performed to determine which was best for the application. We also determined that a different method of fabrication could help reduce cost as well. Samples were produced and submitted to B-cycle for final approval. Our customer was very happy with the new advertising plates, and has been ordering ever since. They have also recommended the GTech parts to other cities that use the B-cycle bikes, and GTech has received orders from these other cities as well. Nothing makes us happier than telling a customer we helped them lower their costs, find longer-lasting solutions and a way to make it quicker! © 2019, GTech Precision Industries (USA) Ltd.